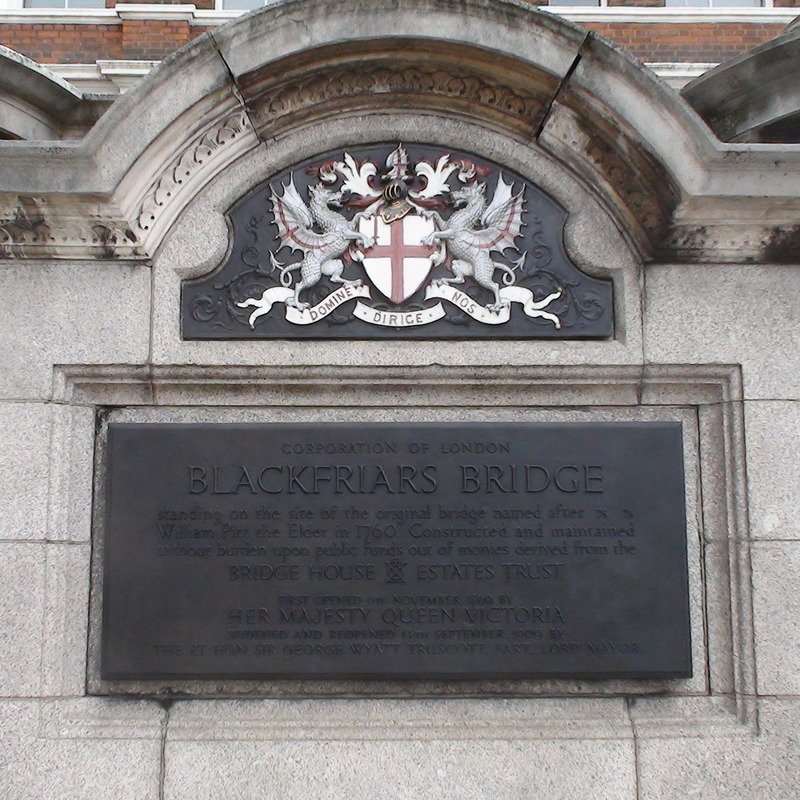 Blackfriars Bridge, standing on the site of the original bridge named after William Pitt the Elder in 1760. Constructed and maintained without burden upon public funds out of monies derived from Bridge House Estates Trust. First opened 6th November 1869 by Her Majesty Queen Victoria. 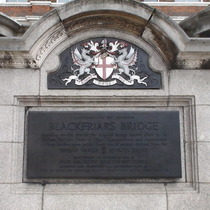 Widened and reopened 14th September 1909 by the Rt. Hon. Sir George Wyatt Truscott, Bart., Lord Mayor. Blackfriars Station is all new and shiny but this corner of Blackfriars still needs some attention.